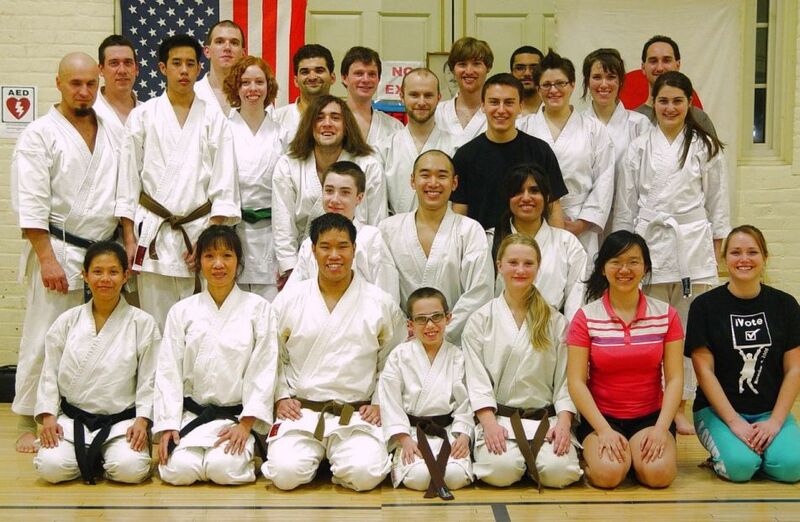 UConn Karate Club class photo, March, 2011. Front row: Juvy Abarientos, Melissa Jacobs, Will Chan, Liam Boyce, Alex Jacobs, Bobby Ambrose, Nicole Augustine, Julie Osterhout, Gily Montanez, Jessica Anderson. Second row: Nick McIntosh, Rachel Antonucci, Ryan Jacobs, Aiden Boyce, Mike Jacobs, Keila Garrido, ?, Judy Marcovici, Ryan Eblen, Rachel Hepworth, Sophie Van Etten. Standing: Tarah Eisenhauer, Tony Carpanzano, John Fitch, Brian Boyce, Andrew Pizzimenti, Nicole Depowski, Joe Dowden, Gio Miranda, Heather Shedd, ?, Marius Nicolae, Richard D'Amico, Rachel Fairchild, Ashley Norris, Chris Gomez, Nick Roccapriore, ?, Tina Hoang, Karina Jakobsen, Dan Poulin, Victoria Flagg, Elana Quiroga, Bora Jin, Leah Andrianos, Spencer ?, Allison Lasnicki, Josh Clairmont, Bobby Kowalczyk. Front row: Abby Barrera, Kim Bui, Jeremy Bui, Liam Boyce, Alex Jacobs, Athena Tao, Jessica Anderson. Second row: Aiden Boyce, Will Chan, Keila Garrido. Back row standing: Rob Terlikowski, Brian Boyce, Zach Bui, Joe Dowden, Tarah Eisenhauer, John Fitch, Tony Carpanzano, Ryan Jacobs, Mike Jacobs, Andrew Pizzimenti, ?, Gio Miranda, Nicole Depowski, Ashley Norris, Rachel Fairchild, Dan Poulin. 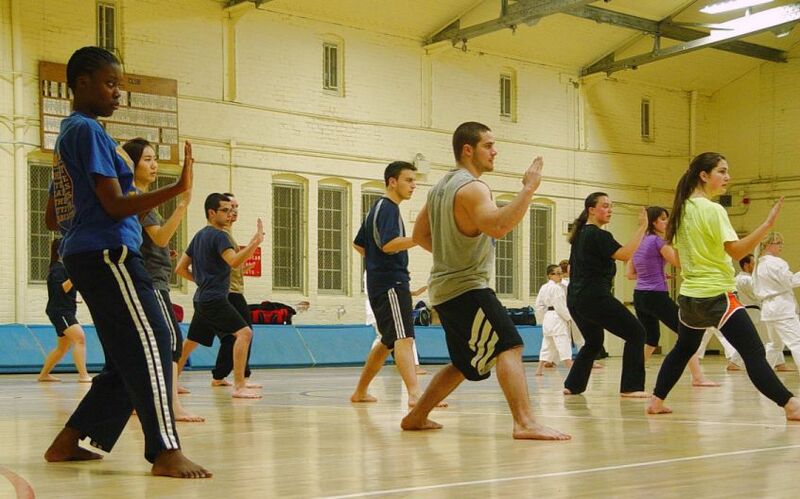 The beginner class practices knife-hand block.